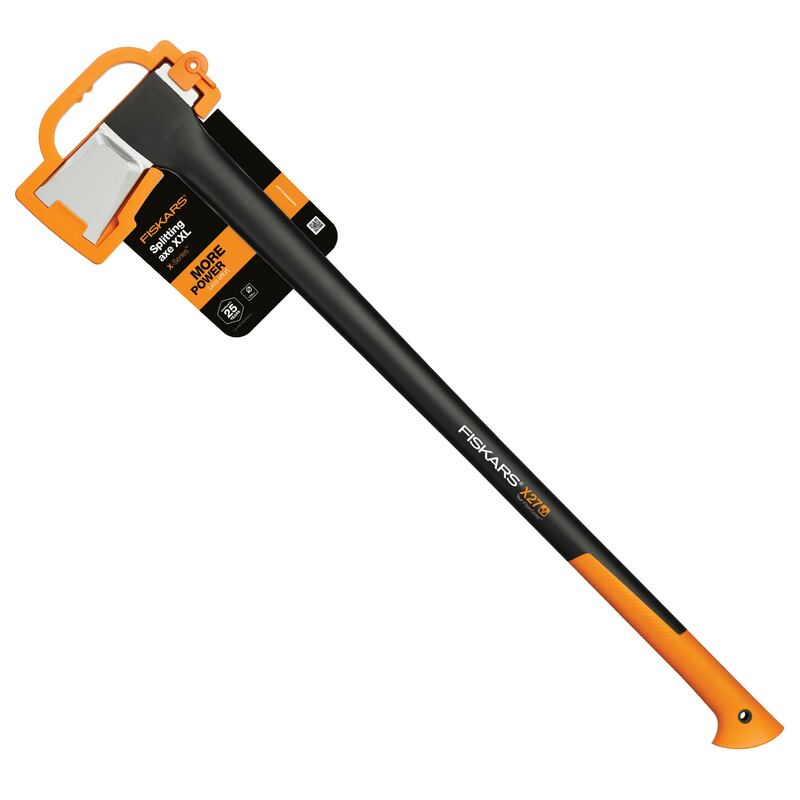 The Fiskars 1015644 X27 Splitting Axe is specially designed for with a longer shaft giving more power for heavier splitting tasks. 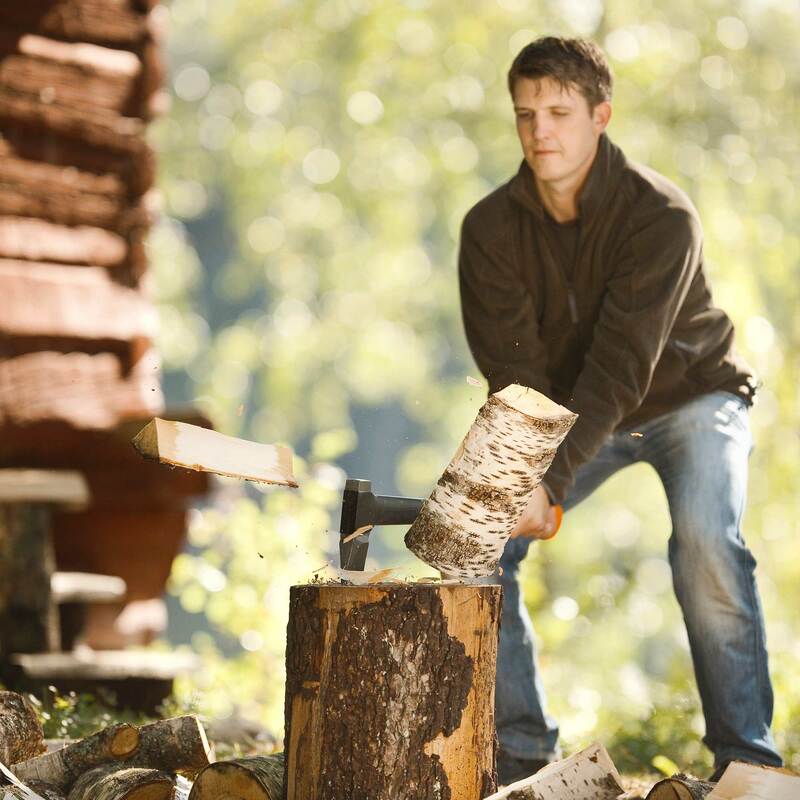 35° convex cutting bevel angle for splitting axes, the convex shape strengthens the edge making it less sensitive to fracture, perfect balance between the head & shaft for safe, comfortable & efficient use. 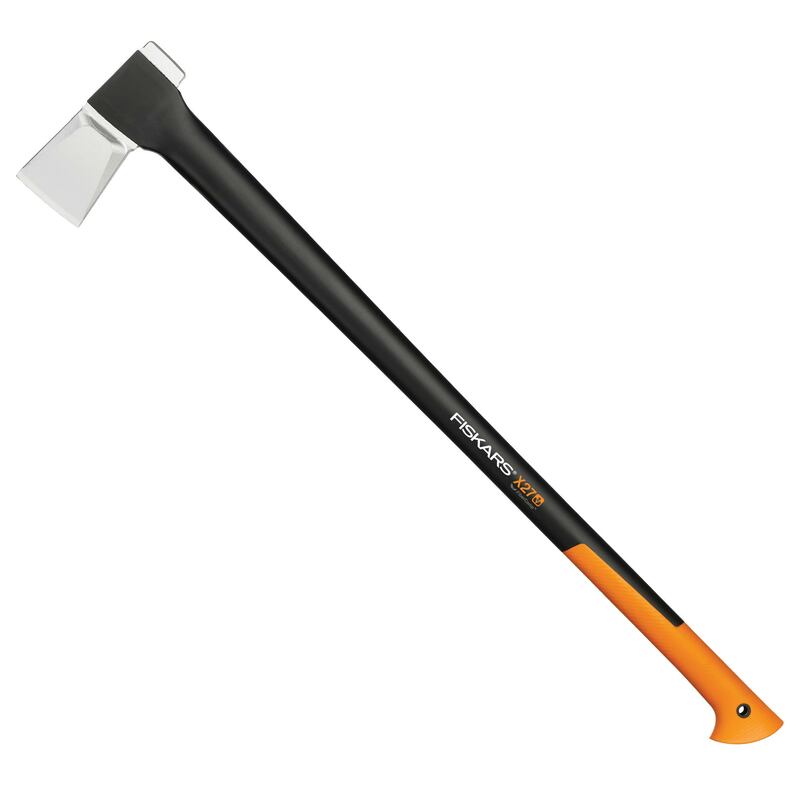 Ultra light & durable FiberComp™ handle minimises fatigue making the axe virtually unbreakable, optimal anti-shock surface structure ensures a comfortable, firm grip. The blade has a PTFE corrosion resistant, non-stick coating, +50/-50 Weather proof the axe withstands all types of weather.Hooked end of the handle prevents the axe from slipping, the plastic sheath provides easy carrying & storage.